Home » Djokovic tightens his grip on top of ATP rankings! 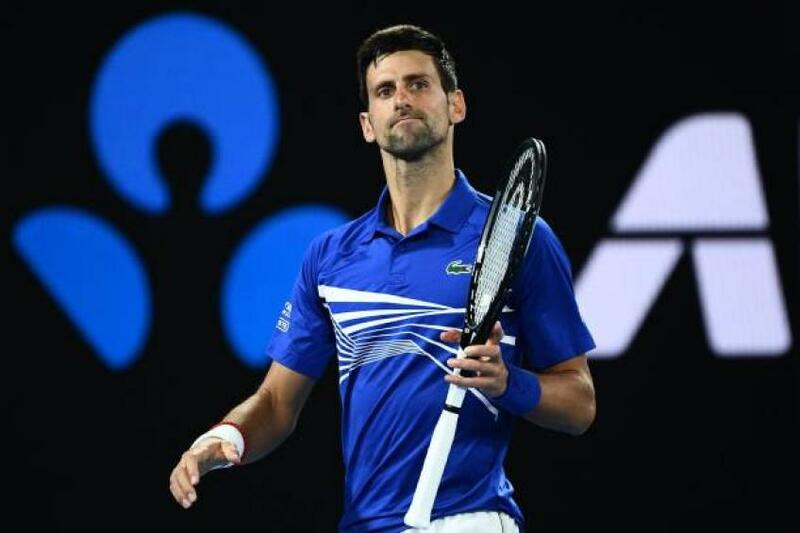 Novak Djokovic tightened his grip at the top of the men’s ATP tennis ranking on Monday after he defeated Rafael Nadal in the Australian Open finals. ATP rankings will see him climb up 10,000 points to cement his place in the world no.1 place as he won in straight sets 6-3 6-2 6-3 at Rod Laver Arena to claim his seventh Australian Open title. The Serb started the year as the top-ranked with his 15th Grand Slam title and leads the no.2 Nadal by 2635 points while Alexander Zverev is the new World No 3 with Juan Martin del Potro and Kevin Anderson rounding up the top five. Last year’s champion Roger Federer is down to six after he failed to defend his title, having lost in the fourth round against Stefanos Tsitsipas. Meanwhile, Japan’s Kei Nishikori rises two places to the seventh after his quarter-finals exit in Melbourne. The Greek star Tsitsipas who was knocked out by Nadal in the semi-finals jumped three places to No 12 while surprise semi-finalist Lucas Pouille jumped 14 places to reach seventeenth. While Daniel Evans climbed 26 places to World no 163, former World No 1 Andy Murray is now ranked 225th in the tennis world.